on quality, regardless of the size of your organisation. Cost effective data cabling solutions that don’t compromise on quality, regardless of the size of your organisation. ICT Solutions have been providing professional data cabling installations at the highest industry compliant standards, to businesses in Liverpool, Merseyside and London for over 10 years. We’re known for cost effective data cabling solutions that don’t compromise on quality, regardless of the size of your organisation. 75% of all network faults are caused by data cabling that has not been adequately tested during installation, which is why ICT Solutions include this crucial element as standard. All our structured data cabling and fibre optic cabling installations come with full test reports, certification, guarantees and product warranties. And all single and multimode fibre installed by our cabling engineers is fusion spliced to give you the best possible results and comply with industry standards. 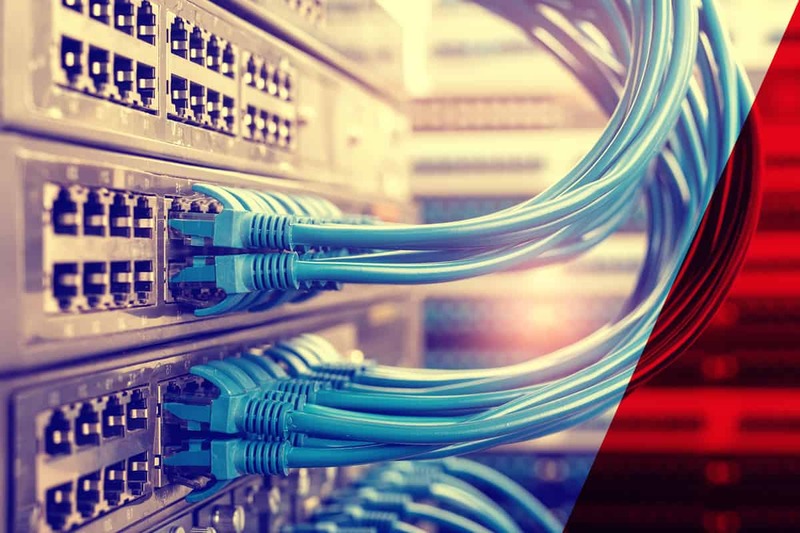 ICT Solutions is one of the leading data cabling companies in the UK and we’re accredited to install CAT5e, CAT6, CAT6a and Cat 7, plus voice and fibre optic cabling systems. We can put structured network cabling into almost any building from industrial units, offices and commercial premises to sports centres and schools, colleges, university and training suites. At ICT Solutions we provide a dedicated project manager who will be your single point of contact from start to finish. They visit your site free of charge to assess your requirements then provide a detailed, tailored specification and quote. As well as your new installation, this can also include relocation of existing telephone and data points. To ensure optimum quality, we employ all our fully trained cabling engineers directly. They can install CAT5e, CAT6, CAT6a and Cat 7, as well as fibre optic, integrated voice and data networks, plus Local Area Networks (LAN), Wide Area Networks (WAN) and Secure Area Networks (SAN). We provide 24-hour emergency fibre repair as well as fault finding, maintenance and network auditing and structured network testing services. Plus, our engineers can install your system without any downtime on your existing network infrastructure, therefore minimising disruption. As a customer of ICT Solutions, you also benefit from our association with strategic partners. They say you’re known by the company you keep, and we only work with the best to provide benefits for your business. Being accredited by many major cabling manufacturers means our installations are covered by a 25-year warranty. At ICT Solutions we strive to deliver cost-effective data, voice and fibre cabling services that are tailored to your business. Our experienced, industry-certified project managers and data cabling engineers will support you throughout. From site surveys, infrastructure planning and design through to installation and ongoing maintenance, your system will both meet your immediate needs and be easily scalable for future business growth and integration with emerging technologies. Ask us a question about Data Cabling and the support we can offer your business, or send us your requirements to find out more.